Though Barcelona were far from their usual best on Wednesday night they were still unstoppable in the first leg of their Champions League quarter-final tie. The Catalans were not at their sparkling best but still proved far too good for Roma, who were unfortunate to score two own goals through Daniele De Rossi and Kostas Manolas before Gerard Pique added a third. 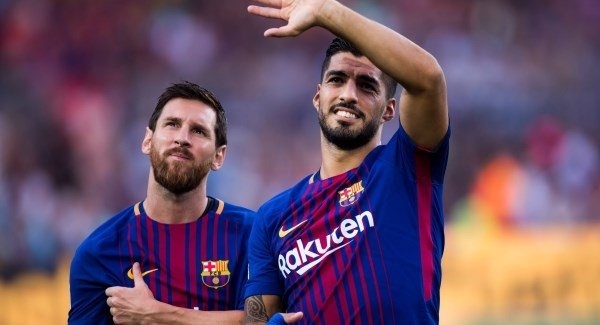 Edin Dzeko pulled one back in the 80th minute to keep Roma just about in the tie but Suarez netted three minutes from time to put Barca within sight of a first semi-final appearance in the competition for three seasons.